It’s no surprise that buying a home can add stress to a relationship, but remodeling an existing home is no walk in the park, either. A recent survey found that the stress of a remodeling project can cause couples to keep secrets from each another. Palo Alto-based Houzz, a home design website, found that 19 percent of more than 1,500 survey respondents said they made a significant design or purchase decision during the remodeling project without telling their partner, and 11 percent admitted that they withheld the cost of a purchase or service. Another 7 percent said they added something in the remodel without telling their partner first, and 9 percent said they sneaked away from home to catch a little break during the remodeling process. Four in 10 survey respondents (41 percent) said they found remodeling with their partner “frustrating,” 25 percent say it was “difficult,” and 12 percent describe it as “painful.” Agreeing on products, materials, and finishes was the biggest source of stress (34 percent), followed closely by communicating with one another (30 percent), and style and design (29 percent). The good news: When the remodeling work was finished, 62 percent of couples concluded that “we make a great team.” The bad news: Seven percent thought “we need couples counseling” and another 7 percent asked “how did I end up with this person? !” During the remodeling process, 5 percent considered a breakup or divorce. The survey found that just 20 percent of couples said they have the same style as their partner, yet 62 percent said they were able to successfully blend their styles. To minimize the strain that remodeling can put on a relationship, 48 percent of respondents said compromise was key, while 38 percent said it’s important to agree on goals before starting the project. Twenty-six percent recommended making a realistic budget at the start of the project. Despite the stresses, 67 percent of survey respondents reported feeling more comfortable in their home after the remodeling, 61 percent said they were happier, and 53 percent said they were more organized. Additionally, 48 percent of couples said they entertain at home more frequently after remodeling, 45 percent said they relax at home more often, and 38 percent do more cooking and dining at home. Not understanding how much everything will cost. Not knowing how long the project will take to complete. Making too many changes during the project. Not understanding your home’s “quirks” or inherent issues. 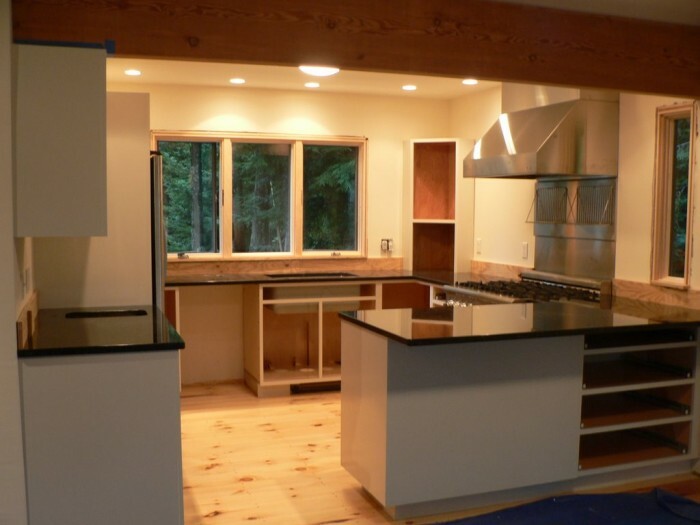 Address these issues early in your remodeling plans, and you can avoid trouble later on. And when all the work is done, you’ll stand a good chance of being among the 62 percent of Houzz couples that found that they made “a great team.” Good luck! Next PostNext To Panic or Not to Panic: Think the Bay Area’s Real Estate Market Has the Jitters?